Dry wells dissipate unwanted water from storm runoff or from household grey water. You want your dry well system to work properly. 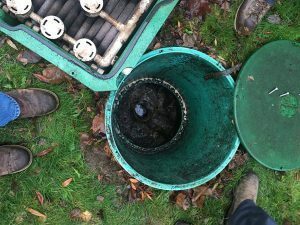 If your system is not working properly, it is time for dry well repair. The reason a dry well system fills up with water is that dirt and leaves, soap, or scum start to block the perforations. That is when you need dry well repair and maintenance for your dry well system. VAC–TEC LLC is a dry well maintenance and dry well repair company in Puyallup, WA providing quality and reliable dry well repair services with impeccable customer service at affordable prices. Dry well systems are designed to handle grey water coming out of the house. A dry well system is used to handling laundry water, sink water and even bathtub water. 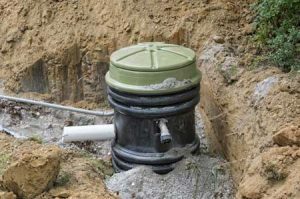 A dry well system is also be used to dissipate storm water run-off.If you want a dry well system installed in your Puyallup home, get in touch with us for guaranteed customer satisfaction. The main function of a dry well system is to collect water and allow this water to seep slowly into the soil. A dry well system can collect water as fast quickly and then dissipate the water. With dry wells come dry well problems. The most common dry well problems are dry well drainage problems. If the water cannot drain out of the dry well as fast as water is going into the dry well, then the dry well will be full of water. That is one of the most common dry well problems faced by the Puyallup residents. We are here to take care of all your dry well problems, no matter how big or small. If you have any dry well problems in the Puyallup area or any dry well emergencies, give VAC-TEC LLC a call. You can reach us at (253) 777-4887 anytime, day or night.